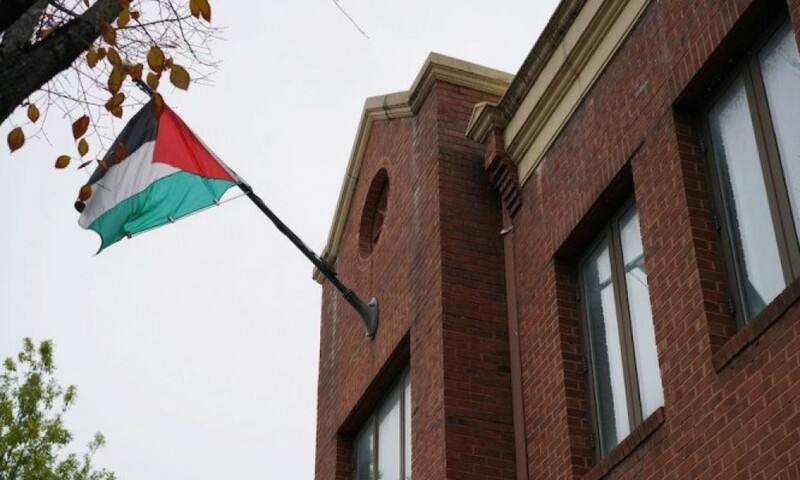 Washington, ALRAY -- Trump administration planned to announce on Monday that it will close the Palestine Liberation Organization (PLO)'s office in Washington, The Wall Street Journal reported on Sunday. The US media outlet quoted the planned remarks of US National Security Advisor John Bolton as saying that "the Trump administration will not keep the office open when the Palestinians refuse to start direct and meaningful negotiations with Israel." Bolton was expected to say that the United States will always stand with Israel, and to "threaten to impose sanctions against the International Criminal Court (ICC) if it moves ahead with investigations of the US and Israel," the US media reported. Washington will also ban ICC judges and prosecutors from entering the country, sanction their funds in the US financial system, and "prosecute them in the US criminal system," Bolton will say. "We will do the same for any company or state that assists an ICC investigation of Americans." US media reported on Saturday that the Trump administration "will be redirecting approximately 25 million U.S. dollars originally planned for the East Jerusalem Hospital Network. Those funds will go to high-priority projects elsewhere." In response, Palestinian Authority denounced the move as "an act of political blackmail," saying it would cause "serious instability and grave harm" to thousands of patients and their families across the West Bank and Gaza Strip. The upcoming U.S. decision will be the latest in a trove of US funding cuts against the Palestinians. The US State Department announced in August a decision to "redirect" economic aid to the Palestinians that are worthy of more than 200 million U.S. dollars. Later, it announced it would not provide assistance funding anymore for the United Nations Relief and Works Agency for Palestine Refugees in the Near East (UNRWA). The US aid cut also came after Washington threatened to reduce financial support for the Palestinians unless they agree to return to the negotiation table with Israel, which has been stalled for four years. Palestinian officials have said that the US move comes in line with Trump's attempt to ignore the final issues of the Palestinian-Israel peace process and remove the issues of Jerusalem and refugees "off the table." The United States recognized Jerusalem as Israel's capital in December last year, sparking a global outcry.